There are times when padding is acceptable, even desirable. 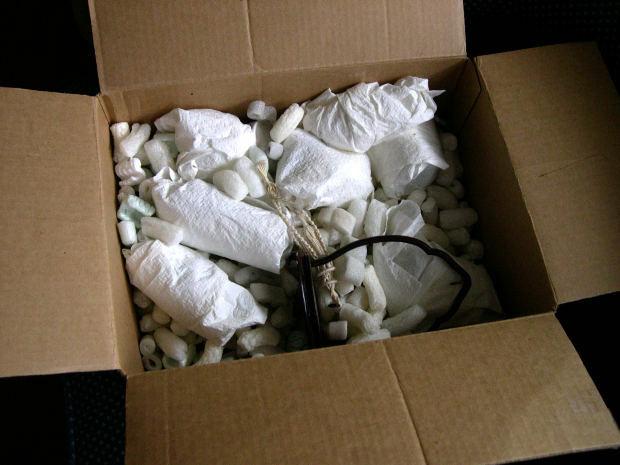 When preparing something fragile for shipping, for example. Or filling out a Santa Claus suit. But in writing? Not so much. Not today, anyway. Back in the day, that is, back in the pre-Hemingway years, padding was acceptable, even expected. Check out anything written by Henry James, for example. “Never say in ten words what can be said in fifty” must have been his motto. No, sorry, more like, “Never say in a mere, miserly ten words, my good man, I exhort you, from the bottom of my soul, not to mention the bottom of my inkwell, what could be said, with the greatest of sincerity, depth, and yet extravagance, in not less than fifty, if not more.” There. Forty-nine words in place of eleven. Today, especially for the new writer, brevity, to quote Shakespeare’s character Polonius, is the soul of wit. Write tight. Sure, sure, the later work of writers like Tom Clancy were padded—filled with material that didn’t really contribute to the work—but Clancy’s publisher knew that he had a fan base that would buy anything he wrote (or put his name on), no matter how much it weighed or how bloated it was. You’re not Tom Clancy. Neither am I. So why and how does a work get padded, how can you as a reviewer recognize padding, and what can an author do to get rid of it? A new writer can pad her work in a number of ways. One of the most common is with backstory, that background material that explains why and how the hero got into his predicament in the first place; why the antagonist is the way she is, starting back in her deprived childhood; the histories of the remote monastery they now find themselves trapped in and the ascetic monks who first built it, and… and… and. The reader needs to know all that, right? Um, no. Probably not. That’s padding. Another form of padding is excessive description. Beautiful, detailed description is THE thing in literary fiction (next to psychological navel-gazing—but I digress) and it can be wonderful. Until it gets in the way of the story. Speaking of digressions, they’re great examples of padding too. Digressions can be story lines with only tangential connection or relevance to the main plot. They can also spring from secondary or even more minor characters, when the writer spends excessive amounts of time on them. Travelogues—extensive descriptions of a place, its history, culture, food, people, atmosphere, geography, etc.—when these things aren’t key to the story are another example. James Michener could get away with that. You’re not Michener. These are just a few examples. Broadly speaking, padding is any material that adds length to a work without adding meaning or depth. So how, as a reviewer, do you decide whether material is padding or not? Aye, there’s the rub. Sometimes it’s clear: is the writer spending so much time on certain material that you, the reader, lose track of the main characters and/or plot? Is the text just flat wordy? Do you find yourself getting bored? These are all signs of padding. If you’re reading only part of a piece, especially a small part, padding can be harder to spot. What seems like a digression now may turn out to be critical later. The only way around this problem may be to read larger pieces of the work. To help your writer trim the fat, discuss with her why you think the material in question doesn’t contribute to the overall work and how she could improve it by taking out the excess. You both have the same goal: to produce the best possible work. Removing padding is one of the best ways to achieve that. Now it’s your turn: how do you spot padding? How do you help your writers remove it and make their stories better?